Shenzhen, China – ZTE Corporation announced that it won two awards at Broadband World Forum (BBWF) 2015, held in London, UK. ZTE’s ZandraTM solution was awarded the Best Connected Home Service or Solution Award. TM and ZTE jointly won the Best Broadband Partnership Award. ZTE’s home monitoring solution, the Zandra, walked away with the Best Connected Home Service or Solution award at the event. By introducing a brand-new, interactivity-focused concept to the home monitoring realm, the ZandraTM solution enables people to surveil their homes from anywhere, anytime. The ZTE ZandraTM home monitoring solution is widely recognised in the industry for its innovative IP cameras and cloud storage service. As the core of the solution, the new-generation ZTE ZandraTM series IP cameras feature smart voice interaction, HD video and storage technologies that turn them into companion-style interactive home entertainment products. Moreover, the ZTE ZandraTM IP cameras allow both app-based smartphone touchscreen interaction and smart voice interaction. ZTE and TM signed MOU and MOA on August 2014, sharing of knowledge and experience between TM and ZTE. TM and ZTE stared the cooperation to do research on some new technologies in new generation of access, such as TWDM PON optical extender, DWBA, etc. TWDM-PON system offers 40Gbps downstream and 10Gbps upstream data that able to support up to 128 users at 40km fiber distance. The important feature of this TWDM-PON system is the coexistence capability to maintain the current ODN network. 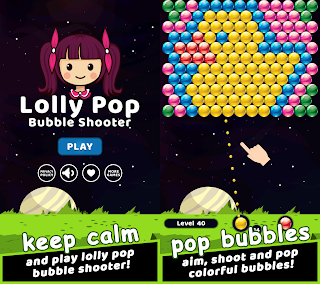 It’s approved that GPON, XG-PON1, and NG-PON2 can be realized in same OLT platform and same ODN in this showcase. Meanwhile, TM developed the Dynamic Wavelength Bandwidth Allocation (DWBA) algorithm and NG-PON2 extender for efficient link bandwidth usage and 40km fiber distance. Recently, the world-famous consulting firm OVUM released Market Share Report: 2Q15 FTTx, DSL, and CMTS. According to the report, ZTE was the largest gainer in wire-line broadband equipment market share on a rolling 4 quarter basis ending 2015 Q2. ZTE exhibited significant market share gains within the digital subscriber line (DSL) product market. ZTE also showed the market share growth within the passive optical network (PON) segment, ranking 2nd in the global PON equipment market. On a regional basis, ZTE ranked first in PON equipment market share in South and Central America and second in Asia Pacific. BBWF Europe attracts more than ten thousand people each year, including operators, analysts and press, and its aim is to encourage innovation in the industry. Since its inception, ZTE has won a variety of BBWF awards involving bearer networks, fixed network access, core network, wireless access and services and more. 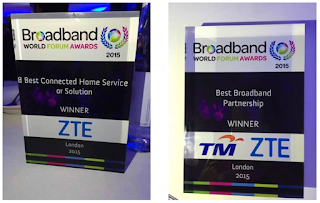 0 comments on "ZTE solutions celebrated at BBWF awards"